The Reptile Report - Gary Mc Alea Photography took this excellent photo of an amazing looking arboreal alligator lizard (Abronia graminea). Geckos Unlimited - Yann Fulliquet shows off his beautiful new female arboreal alligator lizard (Abronia graminea). 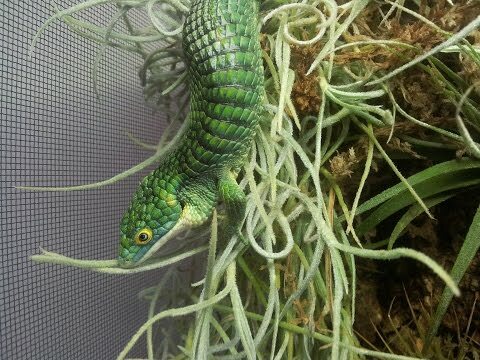 Pangea Forums - Gecko Labs shares photos of a gorgeous arboreal alligator lizard (Abronia graminea) from their collection. 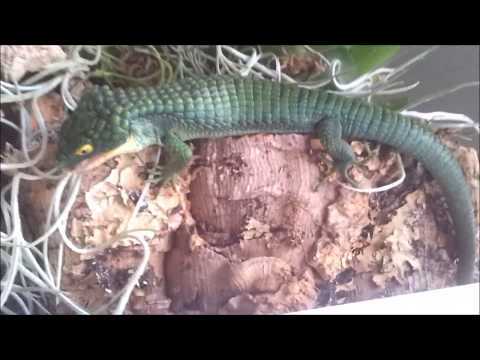 YouTube - Tactical Veterinarian feeds his beautiful Mexican arboreal alligator lizard (Abronia graminea) in this nice video.